FRUITFUL is the word! 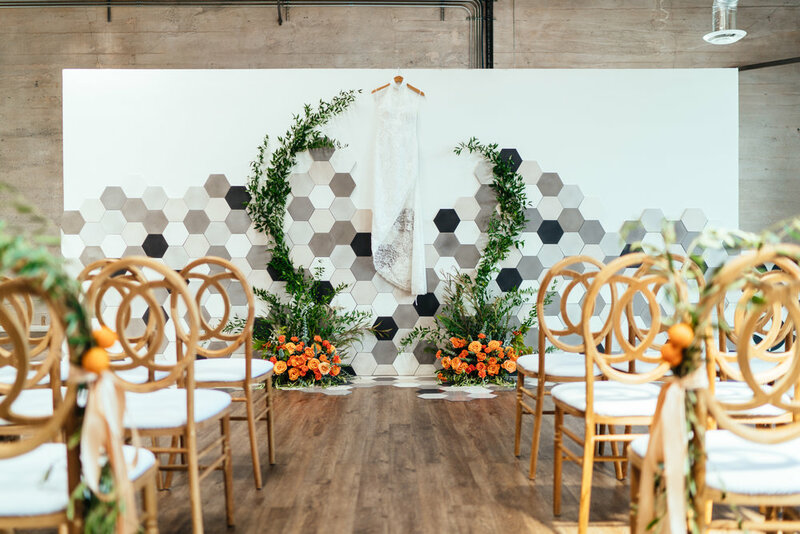 We are blessed to be featured on The Perfect Palette on this modern styled shoot featuring bold and geometric flare. 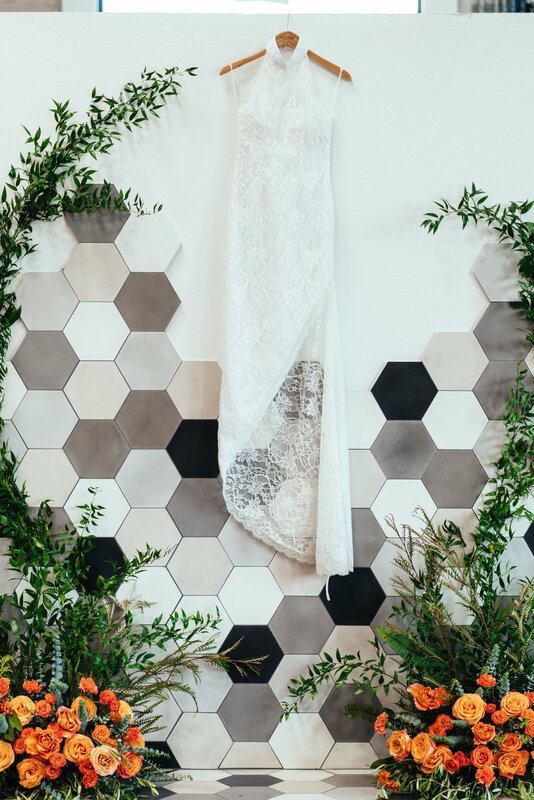 Perfect The Event and the team created a gorgeous setting with our sleeveless asymmetrical lace dress – Bel, simply a great fit for a contemporary and vibrant atmosphere. 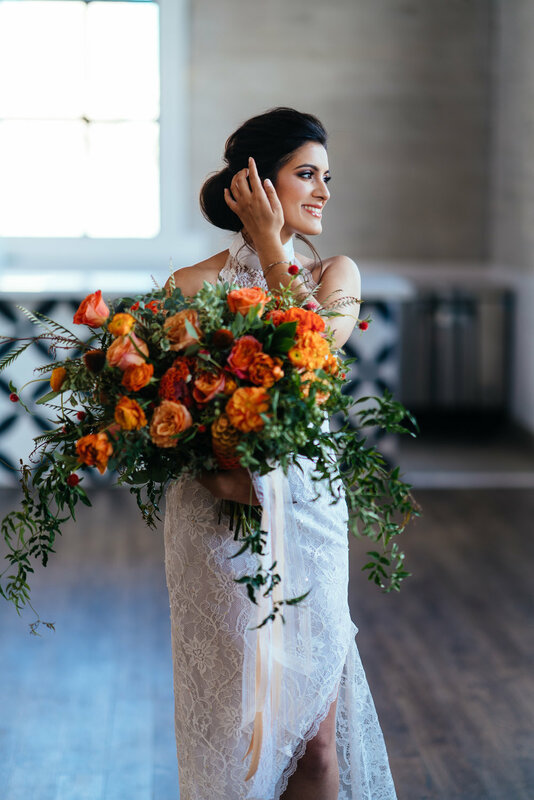 Loving the bold color palette using shades of deep burnt orange, kelly green, and neutral grey. 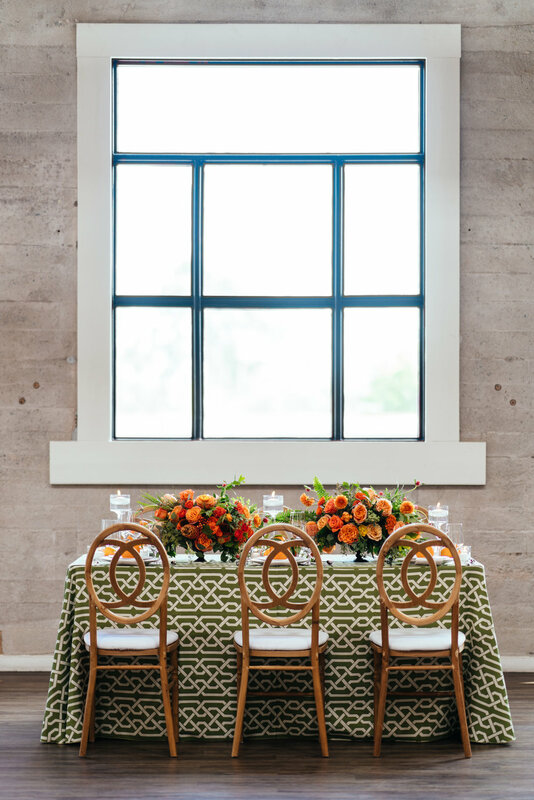 Every detail was impeccable at this industrial loft style venue, 1912, at Downtown Santa Ana. Team Lumière Couture Bridal had a fantastic time working with the many amazing vendors!